ALCA-Specially Promoted Research for Innovative Next Generation Batteries (ALCA-SPRING) was launched in 2013 as a Special Priority Research Area of ALCA. The project aims to accelerate research and development of high-capacity secondary batteries, the next generation of the existing lithium ion batteries, and develop revolutionary secondary battery technology that is far superior in performance to existing secondary batteries, accelerating basic/fundamental research toward practical applications. 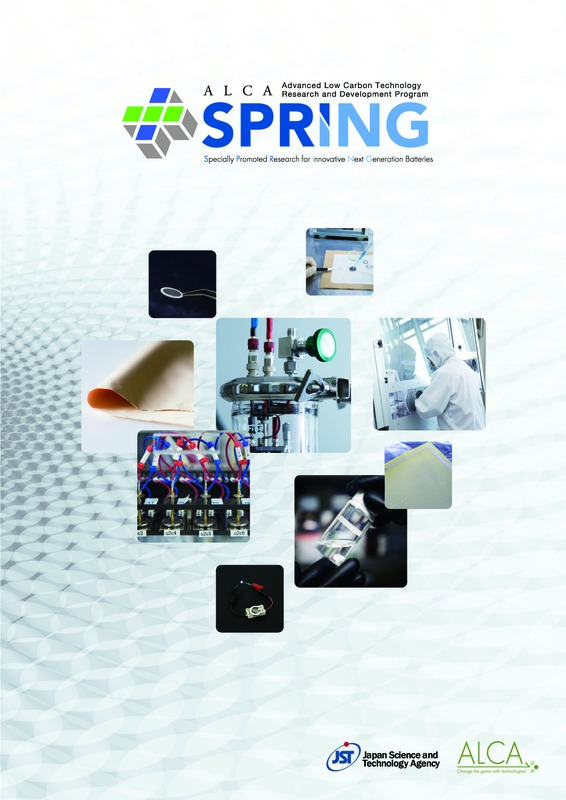 ALCA-SPRING promotes research in an effort to not only develop individual materials such as active materials, electrolytes and separators, and element technologies as well as understanding the mechanisms of the different types of batteries, but also to achieve maximum performance as secondary batteries by focusing on the optimization of the overall battery system, working together as a team under the leadership of team leaders. For details, please refer to the ALCA-SPRING leaflet. Low cost and high performance next generation secondary batteries are essential in reducing car emissions, which account for around 10% of the total carbon dioxide emissions, and for stabilizing renewable energy supply, and yet, the energy and power densities of currently popular lithium ion batteries are limited, requiring the development of innovative next generation secondary batteries. This project was launched in July 2013 via the top-down approach of the Ministry of Education, Culture, Sports, Science and Technology(MEXT) and the Ministry of Economy, Trade and Industry(METI) joint panel, which focused on next generation secondary batteries. Of the candidate next generation secondary batteries, four types of batteries including all-solid-state batteries (sulfide-based/oxide-based), metal-air batteries, other mid-term target batteries, and long-term target batteries were selected to be studied under four teams.Teams were structured so that every team consisted of the Cathode/Anode group, Electrolyte materials group, Evaluation analysis group, and the Battery system group, which studies battery cells, enabling coherent research on batteries.In addition, the Battery Research Platform was established at the National Institute for Materials Science (NIMS), National Institute of Advanced Industrial Science and Technology(AIST), and Waseda University, which allows for the analysis and evaluation of secondary batteries as well as experimental production of cells, assisting the four teams.Overall, the project is massive in scale, consisting of over 40 institutions and over 80 research representatives in total. 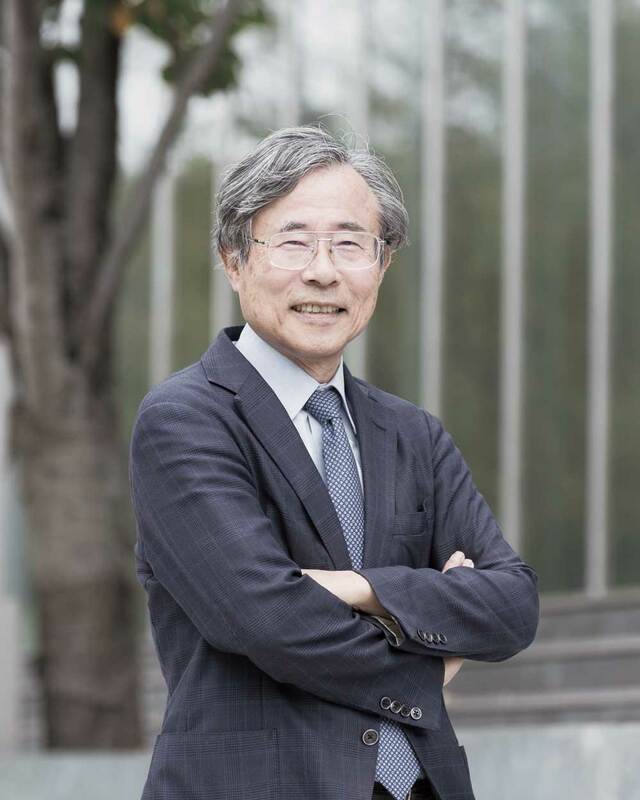 Thus, we at ALCA-SPRING promote "top-down team research with predetermined target products and systems that enhance the probability of achieving a low carbon society". As one of the features of project management at ALCA, we conducted a stage-gate evaluation in the summer of 2015 and restructured our teams from the view point of "materializing next generation secondary batteries", making a fresh start under the new team structure in 2016.Under the new team structure, a cross-sectional "Accelerating and promoting team for practical application" was established for pursuing research on "Special unit for Lithium metal anode research" and "Evaluation, analysis & common material technology group", which are challenges shared by all four types of batteries, by connecting with the evaluation facility, Battery Research Platform, thereby accelerating our research on the area of high priority. Through these efforts, we pursue the seeds of technology, including materials and technologies, and science from the view point of "developing batteries," while at the same time focusing on training young researchers. We appreciate your support for the efforts of many researchers, which we hope will lead, as a whole, to achievements on next generation secondary batteries. Consists of experts on the research and development of secondary batteries and personnel from MEXT, METI, and related institutions. Headed by Program Officer and consists of external experts and professionals. Responsible for selecting candidate projects to be recommended to the Project Promotion Committee, managing projects through site visits, and conducting stage-gate evaluations. » View list of members of Next Generation Batteries Sectional Committee. » Please refer to the team structure page for more details.